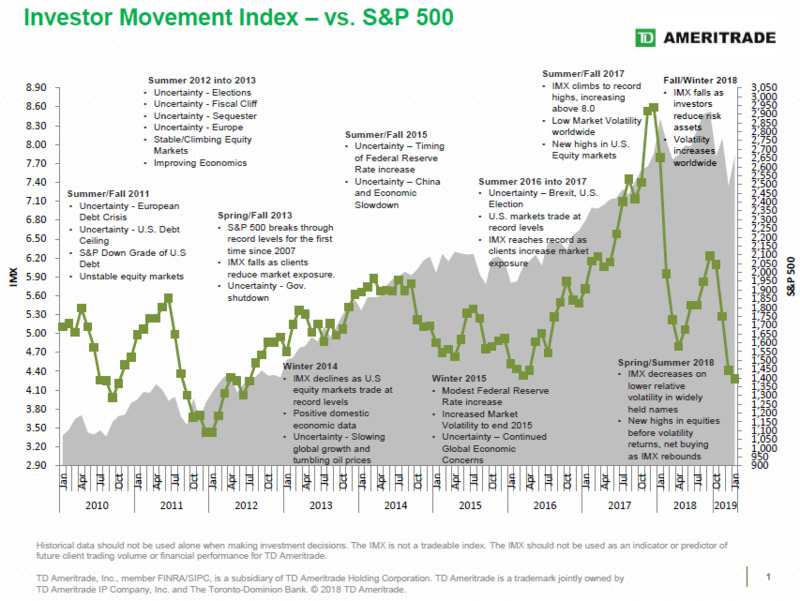 Over the weekend we noted one bizarre feature of the recent market rally: whereas stocks have soared and the S&P is now up +16% since its Christmas Eve trough, advancing on 21 of 28 days since then its best such streak since November 2017, the entire move higher was accompanied by persistent outflows which commenced in October and have yet to taper. 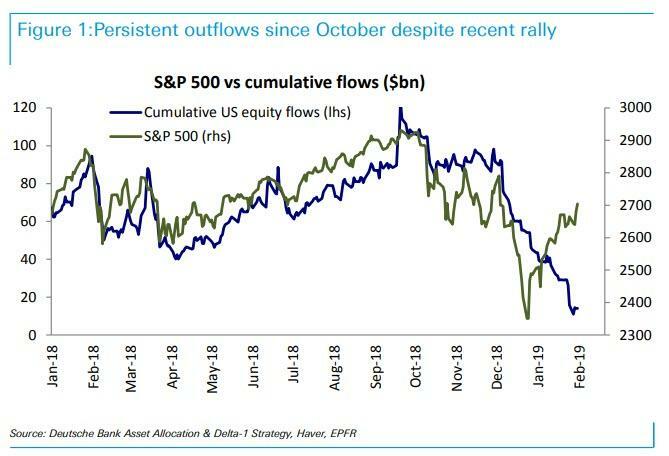 As Deutsche Bank's Parag Thatte said of the move since December, "US equity funds in particular have continued to see large outflows (-$40bn), following massive outflows (-$77bn) through the sell-off from October to December", which he finds rather bizarre because "strong rallies eventually prompt inflows." 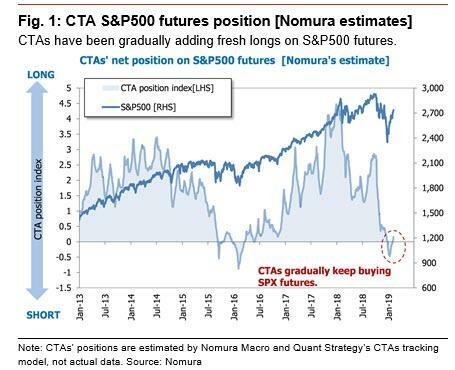 ... the market's algorithmic, or systematic, participants have been far more eager to return, and as Nomura's quants reported overnight, CTAs have been gradually adding fresh long positons on SPX futures so far. 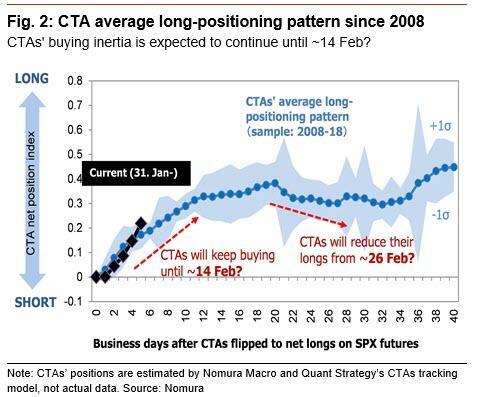 As the Japanese bank's Masanari Takada writes, in light of the past CTAs’ long-positioning pattern since 2008, Nomura expects CTAs’ current buying momentum to continue until ~ 14 February (i.e., after 10 business days from CTAs’ having flipped to the long side). During that period, the S&P500 index will likely to try to exceed ~2,790, the most recent high as of last December. Meanwhile, the upward momentum of the stock market should cool without additional positive factors/headlines, possibly from ~26 February, and CTAs are expected to downsize their long positions along with the market trend based on past behavior. Yet while we had previously reported that CTAs have now fully embraced the market's upswing, having gone "Max Long Stocks" from net short earlier this week, one systematic participant that had so far avoided the recent rebound were risk-parity funds. 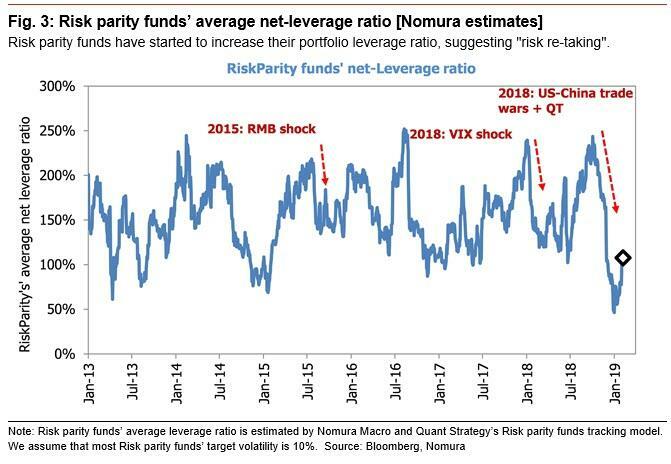 According to Nomura, Risk parity funds can now also be observed resuming "risk re-taking" behavior. In response to the sharp decline of cross-asset market volatility, most risk parity funds likely raised their portfolio net-leverage ratio instead of rebalancing. As a result, their average portfolio leverage ratio based on Nomura’s real-time risk parity fund tracking model has moderately inched up to ~100% from the latest bottom of ~55% at 11 January. This is notable because in such a “risk re-taking” process, most Risk Parity funds tend to add long exposures to a wide range of assets through not only cash products but also derivatives instruments in order to achieve their target risk amount of the portfolio (e.g., ~8% and ~10% are usually the allowable volatility level). 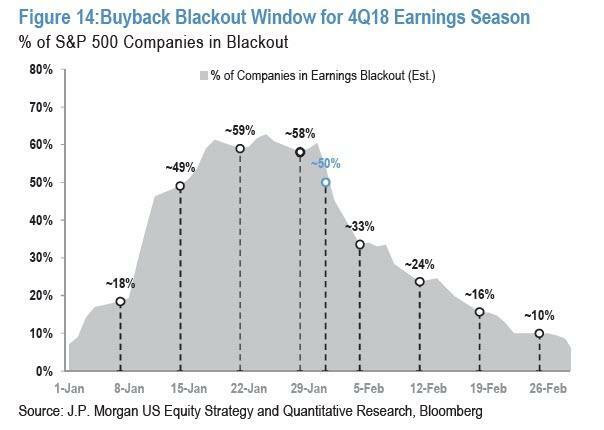 A combination of both buying of stocks and bonds simultaneously, such as the one we have observed recently and which sometimes smells of “goldilocks” conditions, could be to some extent explained by a fluctuation of demand/supply conditions due to the risk parity funds’ systematic leveraging process. ... the question is when will retail finally throw in the towel and rush back in. Traditionally, that has been the moments the rug gets pulled out from below the market.